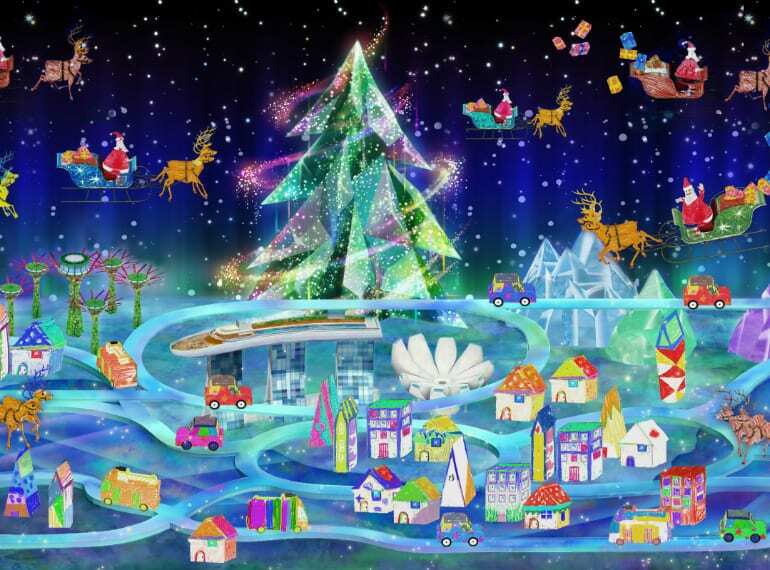 Future World at the Art Science Museum will be having a special festive installation called Sketch Christmas, where you get to make Santa deliver presents with a few taps on a screen. Aside from that, immerse yourself in 10 new and exciting interactive artworks on display! Muggles and wizards alike will be thrilled to know that for Christmas 2018, Changi Airport will be having a massive Harry Potter set up that involves landmarks from the movie such as Diagon Alley, Hogsmeade and the Whomping Willow with 4 separate installations scattered around the various terminals. There will also be Harry Potter activities and merchandise up for grabs; it’s a Harry Potter fans dream come true! 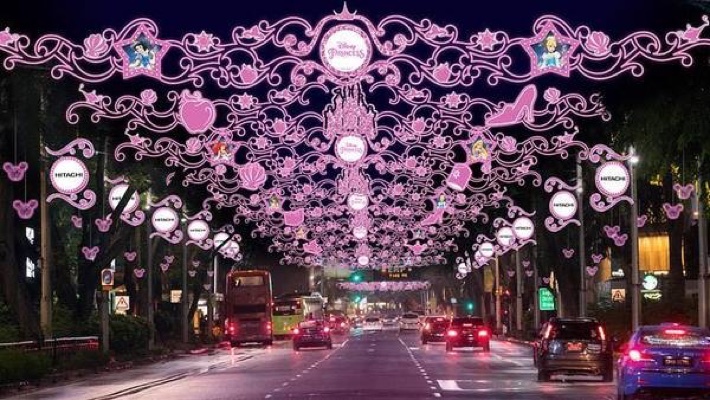 Orchard Road never fails to leave us in awe at its elaborate festive decorations each year. This year is no different and the theme for 2018 will be Disney. Look out for the Disney-inspired displays and pop-up stalls as well as the roads that will be lined with pretty lights. 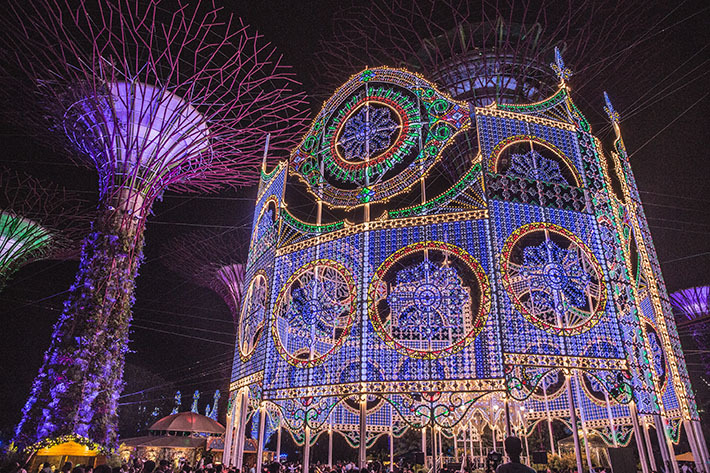 Christmas Wonderland at Gardens by the Bay has become a must-visit place every festive season for the beautiful light structures that are perfect for that insta-worthy shot. This year, for their fifth edition, they will be having new highlights such as luminaire mirror maze and a world-class magical experience with illusionist Rob Lake. 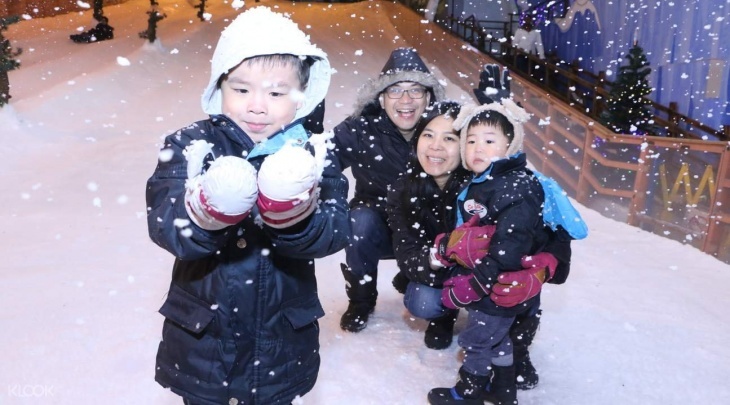 Want to experience snow this Christmas but you don’t have the time or funds to travel out of Singapore to do so? Fret not, because you can experience snow at Snow City! This year, their Christmas event revolves around Hansel & Gretel, so don’t forget to have your picture taken with them and Santa Claus himself! Reach for the stars at Junction 8 this Christmas with their space theme, Gateway to Space. With every S$50 spent, you get to redeem a free pass that allows you to take part in activities such as their VR ride Straight Into Space and Galaxy Explorer. You can also walk and take pictures at the mesmerising star-lit path with your loved ones. Fans of Disney Tsum Tsum will be delighted to know that the theme for Christmas this year at the Flower Dome is Tsum Tsum! Watch the adorable characters dance alongside the mesmerising festive decor as well as admire the pretty lights that adorn the entire dome. Get your camera ready for some instagrammable shots! The ever-popular Prudential Marina Bay Carnival is back again with a whopping 50 rides and game stalls that will be situated solely at the Bayfront Event Space. Thrill-seekers can look forward to more of the carnivals fast-moving rides while those who like to be challenged can attempt to win prizes at the many game stalls. Christmas isn’t just for us humans — dogs too deserve to have fun this festive season! This year dog lovers can bring their canines to the first ever Christmas-themed night market for man’s best friend. Treat your furry friend to specially curated animal products as well as goodies to feed your hungry puppers. Feel the magic of Christmas at City Square Mall with Barney and Friends! Have fun taking pictures with your favourite purple dinosaur as well as dance along to Barney themed Christmas songs. There will also be a foam snow party for everyone to have fun in. 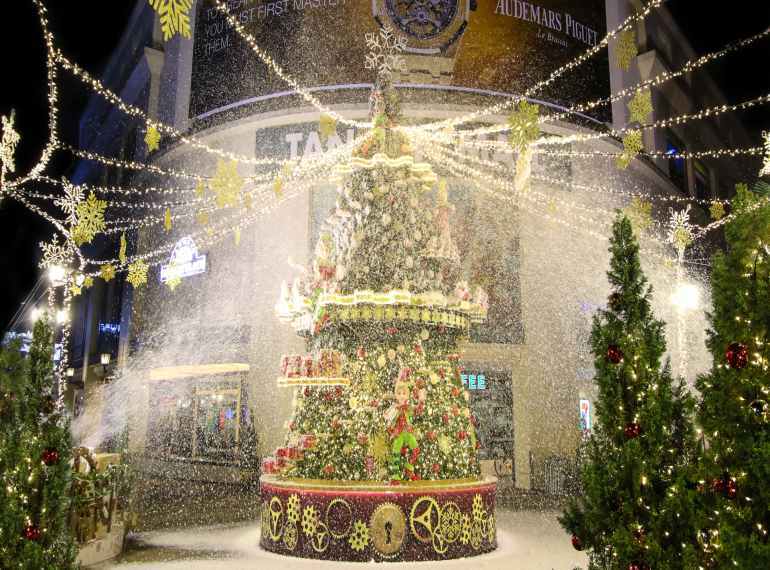 Tanglin Mall is back again with its famous annual Christmas Wonderland which features falling snow! Children (and even adults) can have fun frolicking around in the foam snow while dancing along to the merry Christmas music. Bask in music by local talents such as Raw Love. Supersonic and The Common People while you munch on some of the goodies that can be found at the stalls that surround the stage area. 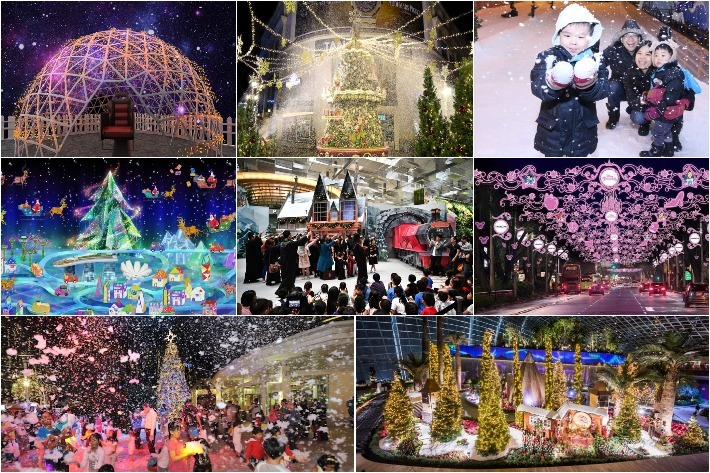 You can also bring your kids to Santa at the Hitachi Santa House or view the Christmas lights from a bird’s eye point of view by riding the Double Storey Carousel.